We last wrote about SIMEC Atlantis Energy, when it was known as Atlantis Resources, last November before it went into suspension pending a reverse takeover. At that point the company was riding high on its plans for growing its tidal stream turbine projects. Atlantis was founded more than a decade ago. It has been quoted on London’s AIM for three years. Its core business is to develop, finance, construct and operate large scale renewable energy projects in the North America, Europe, Asia and emerging markets. It claims 1000MW (megawatts) of power projects in various stages of development. 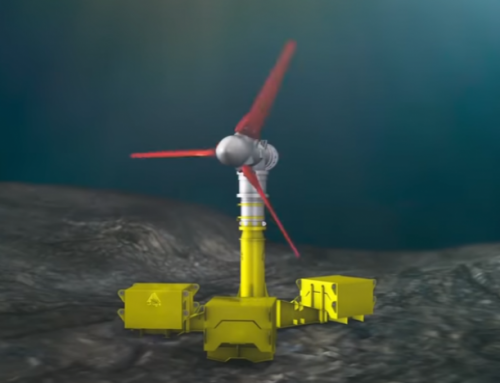 Its flagship asset has been the MeyGen project in the Pentland Firth offshore Scotland, which it says is the world’s largest tidal stream array. When we wrote last November the so-called 6MW capacity pilot MeyGen scheme was just coming into production with the claim that there was 392MW of further development capacity from the seabed lease possible. The array has since exported over 8GWh (gigawatt hours) of energy from its four turbines to the national grid by the end of July 2018. 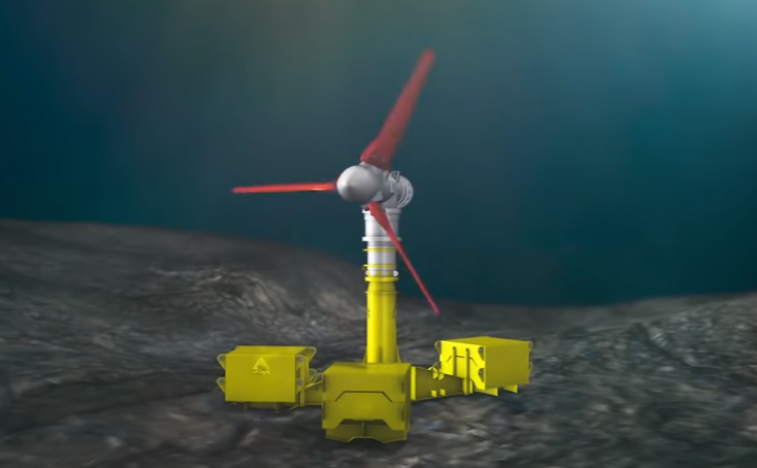 Meygen has been funded thus far by the UK government and EU money: in addition, MeyGen’s Phase 1A was completed with help from Scotland’s Renewable Energy Investment Fund (REIF). Phase 1B of the project was granted £17.3m (Euros 20.3m) to start in 2020. Late last year Atlantis was also thinking about getting on with 1C of MeyGen which would add 80MW to the project’s generating capacity. But arranging for Phase 1C proved to be a bit tricky. In September 2017 the Department for Business, Energy and Industrial Strategy (BEIS) held a Contract for Difference (CfD) auction. This is the instrument the BEIS uses to support ‘less established renewable technologies’. There was great surprise when one of the three companies involved were awarded a CfDs for £57.5 per MWh for an offshore wind farm. Atlantis applied for a CfD of £300 per MWh and not surprisingly was unsuccessful. This is really the point. 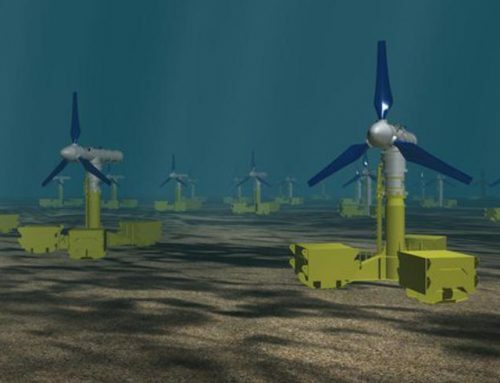 While offshore windfarms are considered early stage renewable energy projects, tidal marine power is thought to be even earlier stage with the necessary technologies perhaps not yet fully proven therefore needing more financial support from the government. After considering coming in with a lower bid of £150 a MWh for a CfD, Atlantis decided instead to change tack. In December 2017 a deal was announced to create a diversified renewable energy platform by agreeing to acquire the entire issued capital of SIMEC Uskmouth Power Ltd a 220MW plant in Wales from SIMEC Energy a member of the GFG Alliance. GFG is a London-headquartered international conglomerate that combines energy generation, metal manufacturing and financial services. It has total revenues of US$13 billion a year and net assets of around US$3.1bn, the company is owned by the Gupta family and is led by the London-born Sanjeev Gupta. The consideration for the acquisition comprises the issue of new Atlantis ordinary shares resulting in SIMEC holding Atlantis ordinary shares representing 49.99 per cent of the enlarged Atlantis capital. Following this transaction, which was closed in May 2018, it was agreed that since SIMEC Energy was to become the largest Atlantis shareholding, the name of the company would change its name to SIMEC Atlantis Energy. SAE’s plan is to convert the power plant to a facility that uses end-of-waste pellets instead of coal. The energy pellets are to be derived from a mixture of biogenic material and plastics that cannot be recycled and are typically sent to landfill. On 13 July 2018 broker Macquarie Research forecast that the plant will generate an EBITDA (earnings before taxation, depreciation and amortisation) of £51million in its first full year of operation in 2021. And on this basis the Macquarie broker values it at 42 pence a share, or £152m, based on a 13p discount rate. This makes up the bulk of its target price which is set at 55p a share. These are not inconsiderable figures when set against the financials laid out in the preliminary results for 2017 which were released on 18 June 2018. Revenue from the MeyGen 1A project was around £301,000, the group loss for the year was £10.7m and cash at the bank was £5.6m as at 31 December 2017. However, the company did raise £9m from existing and new shareholders during the period. In the post year end period an equity fund raising raised £20m for the enlarged group. So, the development potential of the tidal stream turbines portfolio is there but the focus is very much on the Welsh power plant just now. Moreover, the group has also been granted first refusal on GFG’s pipeline of renewable energy and energy storage assets including over 700MW of pump storage, hydro, onshore wind and solar. The £87.89 market cap SAE’s share price was 24p last evening a 52-week low against a high of 44p. Another broker Cantor Fitzgerald has set a target price of 75p. 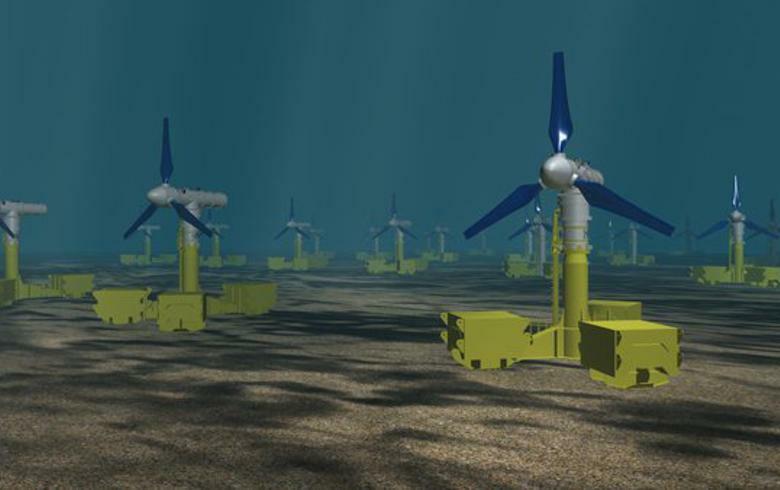 Tidal power group Atlantis Resources turns in a maiden profit after some shrewd deal making.